This fall, audiences will experience the magic of fire-breathing dragons that soar through arena skies in "DreamWorks' How To Train Your Dragon Live Spectacular." DreamWorks Animation SKG, Global Creatures and S2BN Entertainment announced "How To Train Your Dragon Live Spectacular" will embark on a worldwide tour following its critically acclaimed debut in Australia and New Zealand. 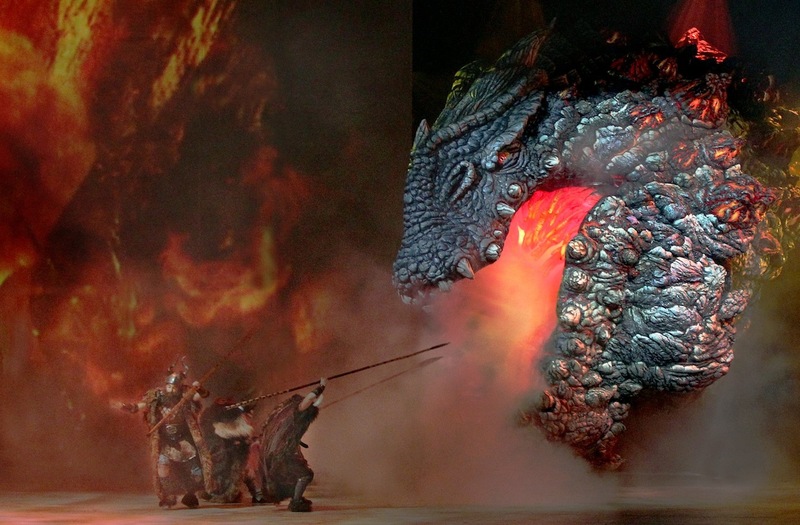 The tour is produced by RZO Dragon Productions to deliver 23 dragons, some with wingspans of up to 46 feet, Viking warriors and world-class circus artists and acrobats, to perform against a state-of-the-art, wall-to-floor immersive projection measuring more than 20,000 square feet. "How To Train Your Dragon" lands at Buffalo's First Niagara Center Sept. 20 through 23. Tickets may be purchased through the First Niagara Center Box Office, online at www.tickets.com, or by calling 888-223-6000. The live production rolls fire-breathing action, epic adventure and heartfelt laughter into an original captivating story set in the mythical world of Vikings and wild dragons. Based on the book by Cressida Cowell, it centers on Hiccup, a Viking teenager who doesn't fit in with his tribe's longstanding tradition of heroic dragon slayers. Hiccup's world is turned upside down when he encounters a dragon that challenges him and his fellow Vikings to see the world from an entirely different point of view. The story presents a vision so grand in scale that only DreamWorks Animation and Global Creatures could bring "How to Train Your Dragon" to life in front of a live audience. Australian actor Robert Morgan, who plays Stoick (Hiccup's father), says, "The story itself, it's a universal telling. It's about a young man who's a little bit different, with a very strong father. And he's trying to win his father's approval all the time. The father is reluctant to let the son grow up because ... he doesn't want to lose his son within the dangers which envelop their home. Like all fathers ... it takes a long time to learn to trust your children to be adults - to be responsible." "The story is the whole thing, really," he says. "(The story) between the boy and the dragon, and the boy and the father, and the boy growing up and the father realizing that." Though this show has been touted for its dazzling visual effects, Morgan says, "It's a very unique unit, this thing. It has all these grand elements in it. ... But within that is a really beautiful, strong story. And a really well-written play." In other words, while audiences may come in thinking "How To Train Your Dragon" is simply a large-scale arena show with larger-than-life dinosaurs, Morgan says, "At the end of the show, there's a tremendous, honest reaction of thanks, and applause, and it's for the story," he says. "It's a real performance piece," Morgan says. "I can't knock it. I'm very proud of it." Of course, the special effects are cool, too. Morgan says audiences can expect to be "bowled over" by "the energy of these elements. The puppetry is just out of this world. 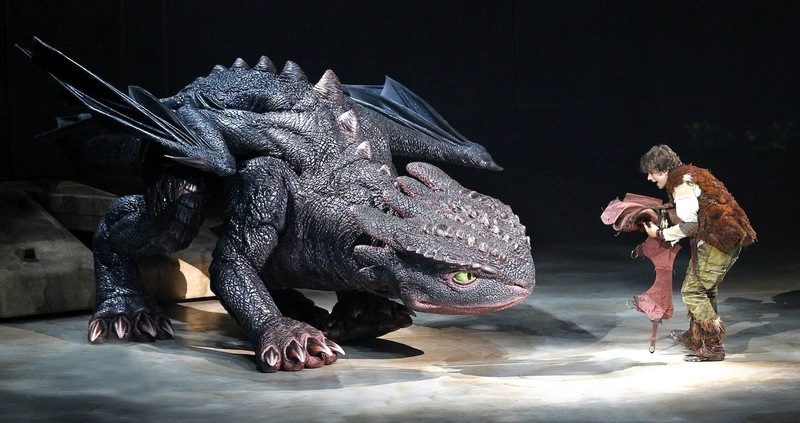 These dragons, these creatures, are controlled so beautifully by the puppeteers remotely. And they bring life to these puppets. And they (the puppets) interact, again, becoming part of the story between the people and ... and the dragons. The dragons are characters themselves. And they're powerful; they're frightening; there's that edginess of fear that is there. Some of them, they spit fire. They blow smoke. With all the beautiful technology, they fly, some of them. It's an amazing array of three-dimension, tangible beasts in that arena, which are really, really unforgettable." The U.S. tour launched with a one-week engagement in Wilkes-Barre, Pa., on June 27. 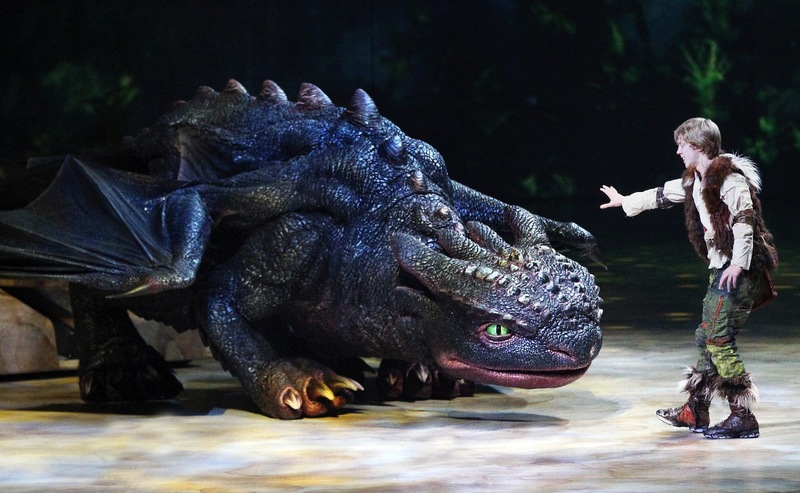 The Times Leader wrote, "The roars of the dragons were nothing compared with those of the audience, who soaked up every minute of the opening night of 'How To Train Your Dragon Live Spectacular' at Mohegan Sun Arena." "How To Train Your Dragon Live Spectacular" was created by DreamWorks Animation, producers of the Academy Award-nominated film, "How to Train Your Dragon," which grossed approximately $500 million at the worldwide box office and opened as the No. 1 film in more than 30 countries, and Global Creatures, the masterminds behind the international phenomenon "Walking with Dinosaurs," the No. 1 grossing world tour of 2010. "How To Train Your Dragon Live Spectacular" delivers some of the most ambitious theatrical technology to ever tour the arena. "We are thrilled to bring this magical and epic adventure to First Niagara Center," said Jennifer Van Rysdam, vice president of arena events at First Niagara Center. "The story is powerful and moving and DreamWorks Animation will blow you away when they bring it to life before your eyes. A live experience not to be missed that you will never forget!" Entertainment Editor Joshua Maloni contributed to this report.